The two foreign ministers “strongly rejected the unilateral and arbitrary lists and designations established by the US government which serve as a basis for the implementation of coercive measures which are contrary to international law,” the Cuban Foreign Ministry said in a statement. Ri and Rodriguez also called for “respect” for their countries’ sovereignty, “non-interference in internal affairs,” and a peaceful settlement of disputes. They expressed particular concern over the escalation of tensions and the increased military activity on the Korean peninsula. “The situation on the Korean Peninsula is worsening and is tense because of the increased use of military forces by the imperialists,” Ri told Rodriguez during their meeting, according to Xinhua. Rodriguez emphasized that the nuclear issue in Asia can only be resolved through dialogue. 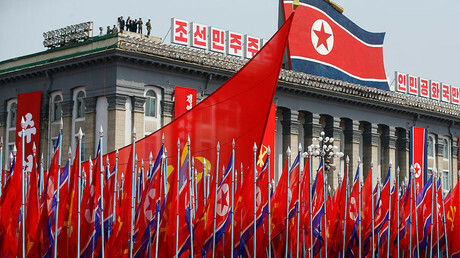 “Cuba pleads for peace and political stability on the Korean peninsula,” he said. North Korea became one of the top priorities after Donald Trump assumed the presidency in the US. Throughout his term in office, he has repeatedly promised to destroy North Korea if economic pressure fails to denuclearize Pyongyang. He also continues to exchange belligerent rhetoric with N. Korean leader Kim Jung-un. With regards to Cuba, the Trump administration recently announced changes in policy to roll back Barack Obama’s rapprochement strategy towards the island nation. “We have strengthened our Cuba policies to channel economic activity away from the Cuban military and to encourage the government to move toward greater political and economic freedom for the Cuban people,” Treasury Secretary Steve Mnuchin said earlier this month, commenting on changes to the Cuba sanctions rules. 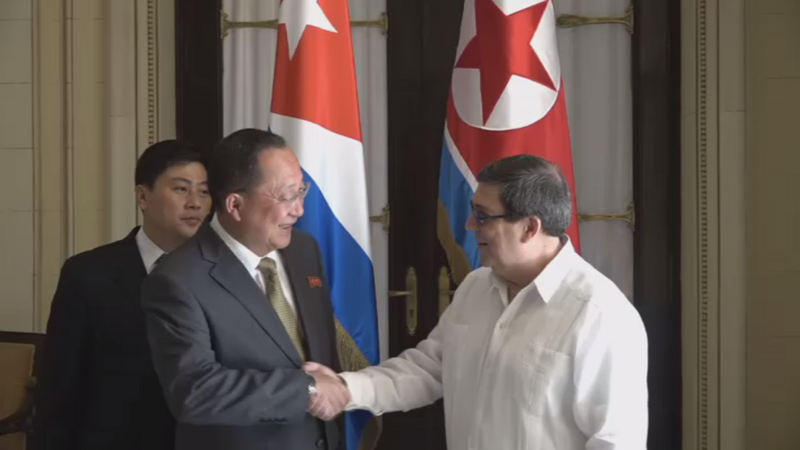 Cuba has enjoyed diplomatic relations with North Korea since August 1960, after the country’s renowned revolutionary leader Fidel Castro established a communist state on the Caribbean island, which lies roughly 90 miles off the coast of Florida. Ever since the inception of both nations, the two communist states have been subject to persistent American sanctions, political pressure and assertive threats of invasion.